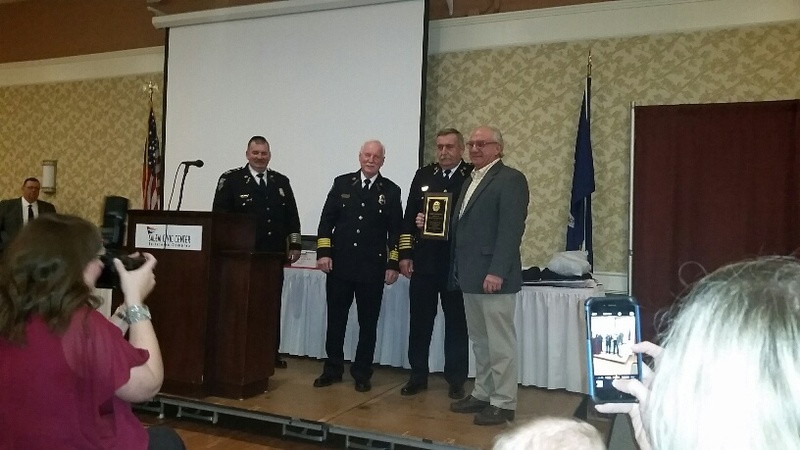 January 9th was a special night of celebration for G & H Contracting as Sheldon Henderson and Woody Henderson were both recognized by the Fort Lewis Fire Department. Woody, Fort Lewis Fire Chief, presented Sheldon with the Bonnie Sue Glass Award in honor of one’s remarkable support in assisting fire department operations. The major highlight of the evening was the announcement of Woody Henderson’s official retirement as Fort Lewis Fire Chief. Several spoke of his many years of working (many were sleepless nights) long hours to make sure the department was ready to respond when the emergency lights and buzzard went off. His retirement concluded over 40 years of public service.